Not me... but with hopefully beautiful weather coming soon, I guess we really need to get to it soon! Cleaning the windows and letting that brilliant sunshine in will certainly brighten everyone's day! 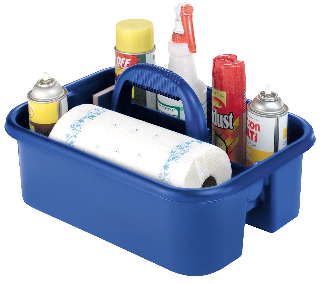 One thing that might make your job easier is having a cleaning caddy to carry around with you. With all your cleaning supplies at hand, your job will go quicker. 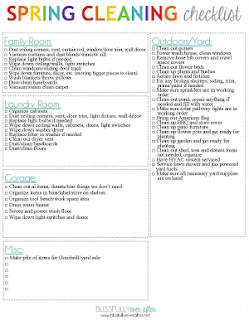 These free printable check-lists will help to keep you organized and focused on getting things done. If you stick them inside a plastic page protector, you can check it off with a washable marker and reuse these checklists every year. Thanks so much for letting me know! I have checked and updated the link - let me know if it still does not work for you.